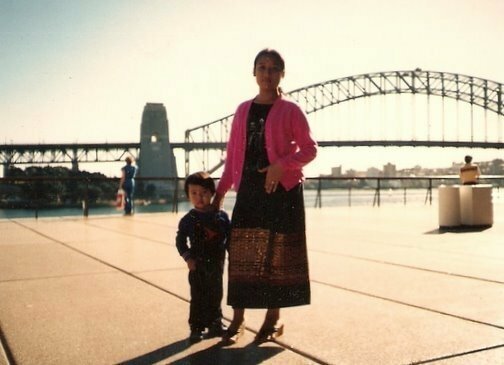 In memory of Somchan Chansamouth (04/06/1955 – 22/04/2009) – loving mother, quiet pioneer, and a great woman. April 22, 2014 marks the 5th anniversary of the day my mother passed away. On that day whilst she was sleeping in a hospital bed she lost her battle with cancer. Since then Mum has visited me once in my dreams and as I get older I realise the importance of capturing my thoughts and memories of the woman who had, and still continues to have, such a powerful influence on my life. When I was four or five years old I would run home after school to watch the cartoons on television and wait for Mum to come home from work. The sound of her twisting the door handle, and moreso the anticipation of feeling her arms wrap around me and squeezing me, was enough to have me jump up from my spot on the carpet in front of the TV and rush towards the door faster than an Olympic athlete. Mum always loved me, even when we didn’t see eye to eye (especially in my rebellious teen years). She expressed her love the best way that she knew how and that was often through her generosity. She worked hard at the local furniture factory, often doing overtime so that she could make a few extra dollars so that we could have a better home and life than her family did when she grew up in a village in Laos. In 1980 Mum and Dad, with a cute and chubby baby boy in tow, immigrated to Australia to escape Communist rule and start a new life in a foreign land. Mum only ever returned once to visit her home country and village. That was in the early 90’s. Despite this her thoughts and prayers were always with her family back in the village and I suspect that she struggled with the guilt of being the “lucky” one (she was one of eight siblings) to have escaped the poverty of village life and build a better life here in Sydney. I had the fortune of travelling to Laos for the first time in 2011, two years after she passed away. I visited her village which was a few hours by road outside of the capital of Vientiane. There I met some of my relatives for the first time. It was a surreal experience to be welcomed by people who remember me running around in cloth diapers. We didn’t have any of this fancy padded stuff back in 1979 when I was only four months old. The most important discovery that I made during that visit was the house that Mum had literally helped build with the money that she had earned through her work in Australia. After decades of wear and tear, battering by the rain during Monsoon season, floods and unbearable heat of the dry season the brick house was in definite need of TLC. I felt sad that I could do little by way of finances to help restore it. I gained an enormous appreciation for what Mum and her family had been through. In the village, entire families with many kids sleep on mats on the concrete or tiled floor, often covered by nets to keep the mosquitos from attacking, squished into a room the size of a small kitchen here in Sydney. There’s no air-conditioning so the luxury would be a small fan blowing hot air at night, and that’s assuming you have stable electricity at night. To say that visiting Laos and the villages where my parents grew up had a great impact on me is an understatement. 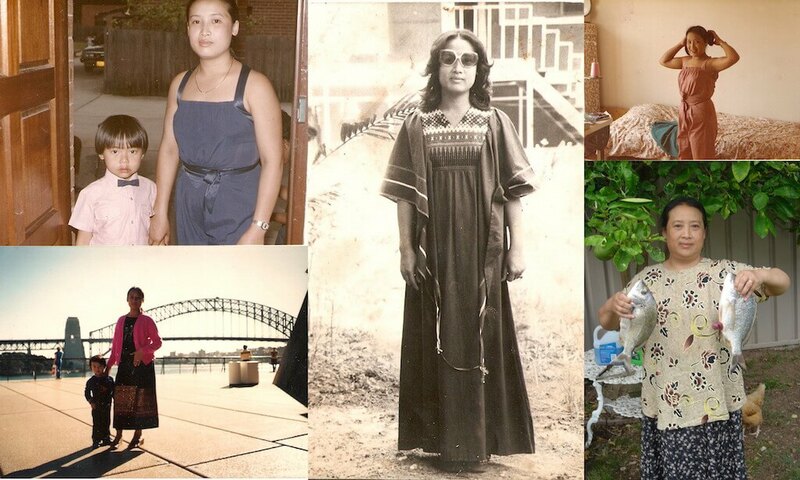 Though I may never experience in my lifetime the level of hardship and struggle that my parents went through so that I could have a much more comfortable life full of opportunities here in Sydney, I have a deep respect and appreciation for them as people. To me they, and all the people of their generation who went through similar experiences, were the unsung heroes of a time that many have since forgotten. Mum always told me to try everything once, especially when it came to weird and interesting Lao food. I recall how silly I was as a teen. Whenever Mum would offer me something new to try I’d decline without so much a second thought. Mum would continue to encourage me, explaining that I would miss out on great things if I didn’t at least give everything a try. Fast forward a few decades and now I have a bucket list with hundreds of experiences that I want to try before I die. This demonstrated a cultural value that is remarkable and I witnessed it first hand when I was in Laos – that love and appreciation is often shown through giving. Families often eat together, cook together, and sit down and talk together. It’s a beautiful value and one that I have come to embrace fully. My favourite experiences involve sharing a meal, laughter and stories with people who I love. It’s been five years since I last saw my Mum on Skype. I was in Montreal and she was in Sydney. Her last words to me were “I love you and miss you”. Thank you so much Mum for being such an inspiration, a powerful influence in my life (and the lives of others who had the fortune of knowing you when you were here), and for doing the best you could with what you had. Update 22/4/15: In honour of the woman who’s had the most influence in my life I now work to help professional women who are feeling stuck in their careers to discover their passion and transition into a life and career that makes them feel alive and will have a positive impact on their families and communities. As part of this commitment to empowering women I’m taking a small group of women to Laos in November 2015 for a holiday that makes a difference (and helps kids in Laos learn how to read). I’m grateful that I’m in a position that I can do this and my mum is a major inspiration for the work that I do.